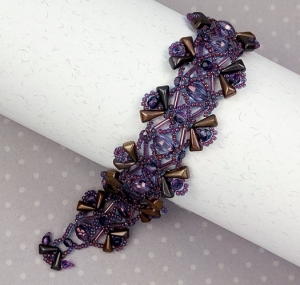 The Penelope Bracelet Pattern includes step-by-step directions and color illustrations. *Beads counts are per repeat (Unit), repeats for this bracelet are about 3/4 inch. 6-1/2 inch bracelet has 7 repeats.